The iOS devices such as iPhone and iPad are such a good mate that wherever you go you would take them along, especially when you line up for getting a ticket or feel bored at the waiting hall in the airport. Nothing can be more enjoyable than watching videos on iPad, iPhone to kill the boring time. You may prefer to download online videos, however, since iPhone iPad only supports playing limited video formats offline, you will have to apply a video converter to convert the video to formats supported by iPhone iPad, and sync it to the devices. But in case you have no time to do so before you leave home or when there is no enough storage space to save the videos, how could you watch them on your devices? If you choose streaming video to iPhone iPad, things will be different. You can access videos saved on your PC or Mac with network like AT&T 3G, Verizon 3G or even Wi-Fi at anywhere with iPhone iPad, stream video via Wi-Fi, 3G/4G network and watch immediately without conversion beforehand, and the videos take up no space on your devices at all. Now a free video streaming application Air Playit provides exactly what you need- streaming video to iPhone iPad with WiFi 3G 4G network. How Does Air Playit Work? Air Playit has two parts to work collaboratively - the Air Playit server that runs on your PC/Mac and client application on iPhone iPad. The server is designed for you to share folder, set access permissions etc and the client application gets the video streaming from the server and play it. 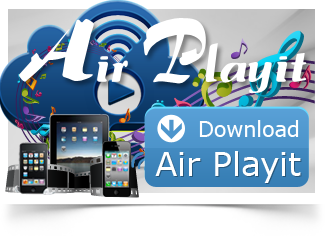 For streaming video to iPhone iPad etc, you should make the some preparation: download Air Playit and install Air Playit server on your PC or Mac and Air Playit client app on iPhone or iPad. 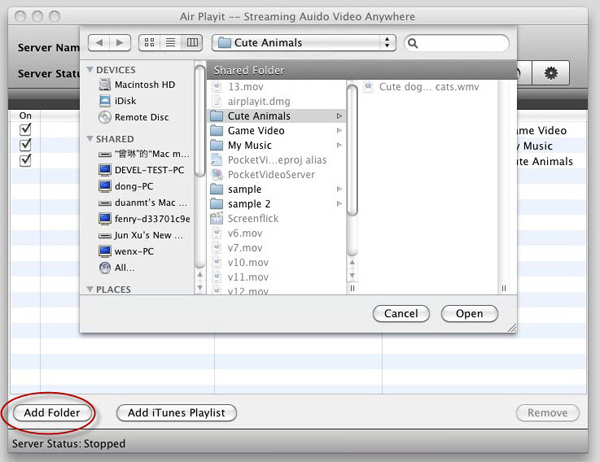 Step One: Run the server and add the videos on your PC or Mac to share. Click "Shared folders", and then click "Add Folder". Step Two: Run the client app and add your server and tap it. Please make sure that your iPhone/iPad is connected with WiFi ,3G or 4G network. 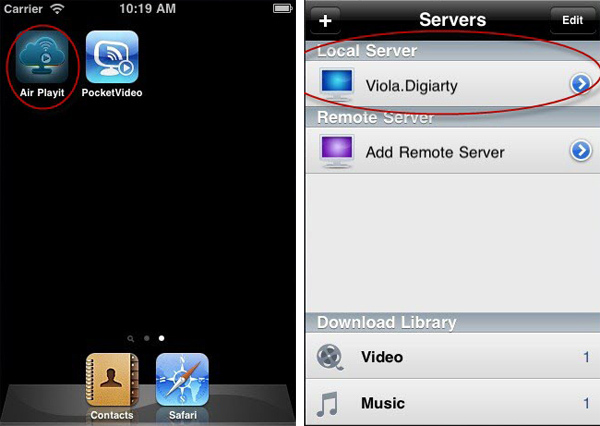 Step Three: Browse the folders under the server and tap the video that you want to play, click “Play” and you finish streaming video to iPhone iPad now. Just watch video via AT & T 3G, Verizon 3G with iPhone iPad immediately. An important tip: If sometimes the client app cannot find the Bonjour connection information, you need to specify the server address manually or close the firewall for a try. MacX DVD Ripper Pro can help you effortlessly rip DVD to MP4, AVI, WMV, MOV, MP3 or iPhone iPad supported formats on Mac/PC with 36X faster speed and original video/audio quality. 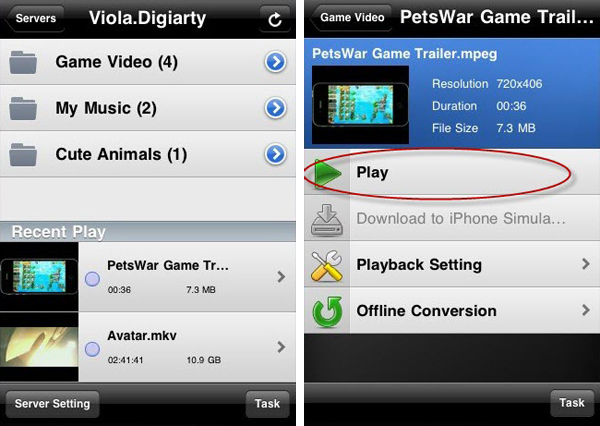 Later, you can directly stream DVD movies to your iPhone iPad with Air Playit. This blog will introduce you a free app to transfer video to your iPhone iPad and iPod over Wifi, 3G and 4G internet network, no need to convert video beforehand and iTunes sync, play the video anywhere.